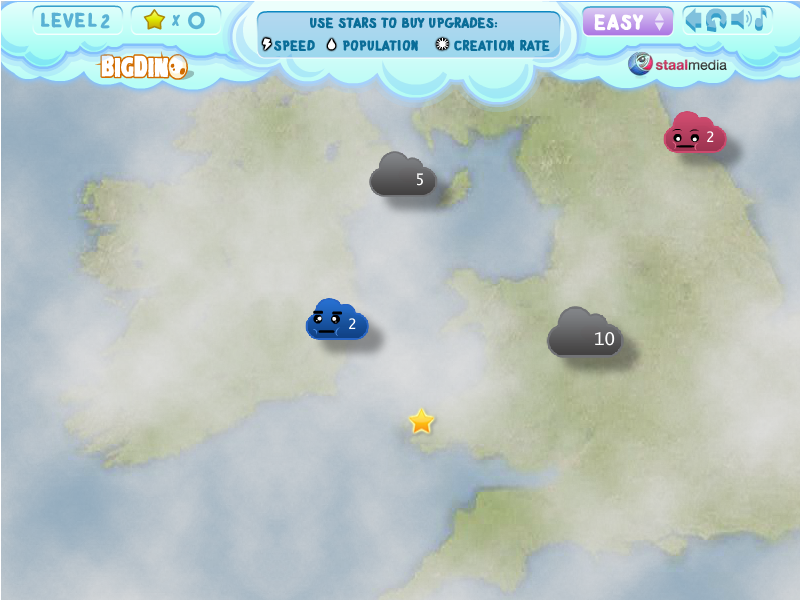 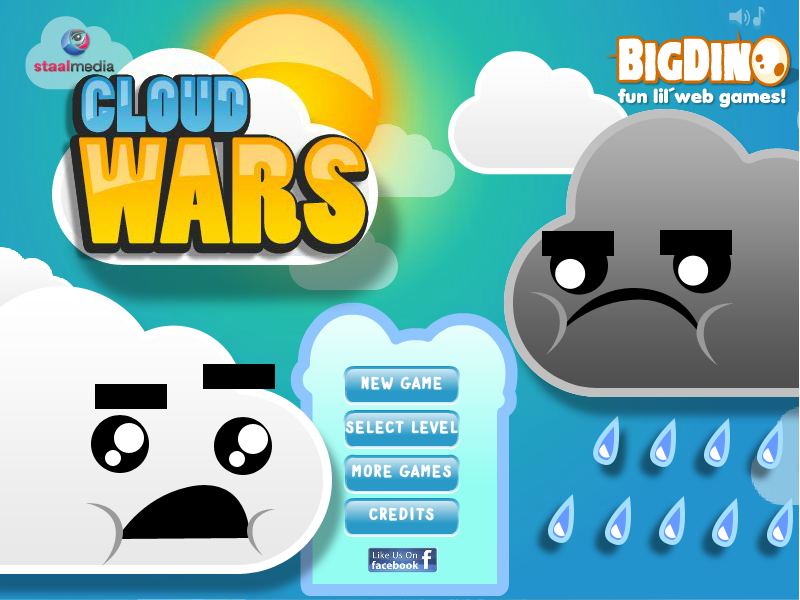 In this addictive strategy game, your goal is to claim control of the skies with your army of clouds! 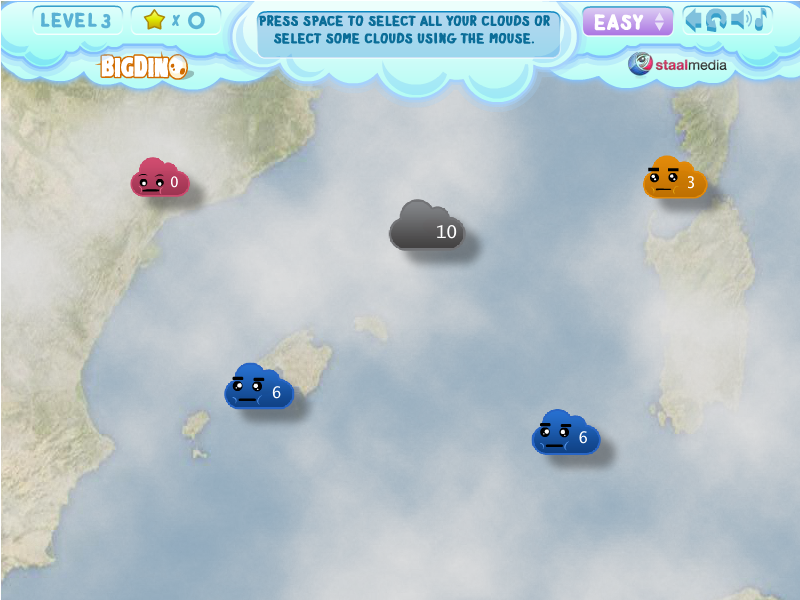 Your goal is to insurrect the other clouds and claim control of the skies! 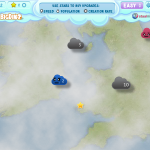 – Click or drag to select one or more clouds. 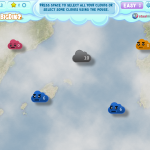 – Click another cloud to attack it using the selected clouds. 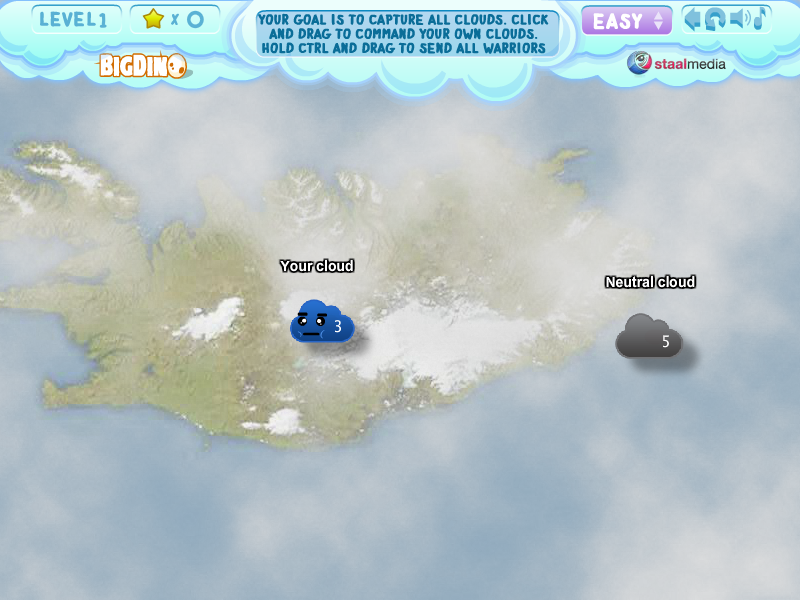 – Use SHIFT+Click to send a single cloud, SPACE+Click to send all the clouds.